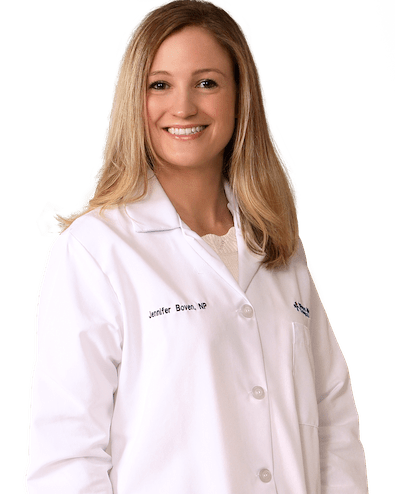 Jennifer Boven is a board-certified Family Nurse Practitioner with Western Michigan Urological Associates. Jennifer received her Bachelor of Science in Nursing at Grand Valley State University College of Nursing, and her Master of Science in Nursing from Michigan State University, College of Nursing. Prior to joining the WMURO team, Jennifer completed a rigorous two year practicum, rotating among several notable Michigan hospitals and medical centers. She brings her expertise in a wide range of urgent urological conditions as well as routine examinations. She works closely alongside WMURO physicians to assure a compassionate and efficient continuum of care. If you would like to schedule an appointment, you can use our CONTACT FORM or call us at (616) 392-1816 to request an appointment.